I am well aware that many people would disagree with my conclusion that apostles and prophets are still much needed amongst the body of Christ. I believe one main reason they are given is to help God’s people continue to be fully equipped and prepared for works of service in the world today. At least that is what Paul indicates in Eph 4:11-16. And, interestingly enough, he says that these gifts were given ‘until we all attain to the unity of the faith and of the knowledge of the Son of God, to mature manhood, to the measure of the stature of the fullness of Christ’. I think we would all agree we are not there yet, hence my strong belief in the continuing need of these ministries to help us move towards that goal of unity and maturity. And with Jesus being the greatest one to ever function in all five of these ministries, and with him sending the Spirit to continue in all five of these ministries, then I would only, could only, expect that he would desire his body to continue functioning in all five of these ministries. Of course, many would say, ‘It’s not that simple, Scott.’ Well, I lean towards it being that simple. But I am willing to walk down the well-worn path of biblically and theologically considering all things necessary. I shared in my last article why I believe this all matters practically. I have continually emphasised that we are called to be all of Jesus to all of the world. So that means that all the ministries of Jesus would be presently needed. Of course, I’m not too worried about titles, though I would remind us that these five ministries are just that – ministry gifts – and not titles. Therefore, in the end, the most important thing is not whether or not we officially recognise present day apostles and prophets. Jesus wasn’t recognised by the main religious establishment of his day. But He just got on with what he was sent to do. Thus, the important thing is that we, as the body of Christ, get on with functioning apostolically and prophetically in this world, as well as evangelistically, pastorally and as teachers of truth. That is our mandate in fulfilling the ministry of Christ. But I do want to visit one other area before moving on to more of an apologetic for the present day ministries of apostles. What I want to do is consider some important characteristics about those who would function in these ministry roles, meaning all five of them, not just apostles and prophets. I am well aware, almost too aware, of the reality that there are many today walking around calling themselves apostles and prophets. In some circles, it is the trend and excitement of the day. But, unfortunately, many of these people have no idea what it means to function in apostolic or prophetic ministries. And their lack of understanding seems to start at the more basic level rather than the specific intricacies of the ministries, in that they don’t really emulate the heart of Jesus in their ministry. And so there are a few practical realities that these people must be willing to walk out in their lives or then we just prove we don’t truly know what it means to be an apostle or a prophet, at least in the sense of how Jesus walked them out. Thus, below, I list five characteristics that I believe are absolutely needed in the life of any leader, not just apostles and prophets. What I find unfortunate is that so many people, I’m talking about Christians here, think that leadership is all about the glamour and the stage. There is an over-obsession with the platform, the microphone, the attention. They flock to it. Here was the divine Son of God who knew that the Father had given all things into His hands. So, what does he do? He removes his outer clothing and stoops down to wash the feet of the disciples. All I can say is, ‘Absolutely astounding!’ If many of us were in that position, how would we respond? That is leadership, that is apostolic leadership – having a servant heart. Somehow, many can easily turn to Acts and Paul’s letters and come to a conclusion that Paul was something of a lone ranger. He was kind of out there as an independent, rogue missionary. But such is quite far from reality. Even more, Jesus himself had a team mindset, even though he was the Son of God. He continually relied on the Father (see John 5:19) and the work of the Spirit in his life (Matthew 1:18; Matthew 3:16-17; Luke 4:1-2, 14). He could envision nothing less than working with the Father and Spirit. And, coming back to Paul, let’s consider how many people worked with him in his ministry. Paul was the pioneer of apostolic team and apostolic company. Who knows how many ministry partners Paul had? Maybe 75+! So, teamwork is absolutely important from a biblical standpoint. There is no room for unaccountable, lone rangers spouting off their revelations. They are to stay in relationship with other leaders and the body of Christ. But let me also say that we don’t do this just to say we have it. We are called to also value such input to those we are in relationship with. You would think this would be an easy one to figure out, but many step into certain roles for many reasons apart from being called of God – pressure, popularity, selfishness, etc. But this just doesn’t work. And those trying to function in any ministry role without the calling, those people will just do grave damage to the body. Therefore, God has not left us to fight on our own. Such thinking is absolutely unbiblical. He has given us other leaders within the body of Christ to which we are to be in relationship with, and they are present to help confirm and affirm the calling of God, especially a call to lead God’s people in any capacity. Of course, there are those who are specifically gifted as shepherds. 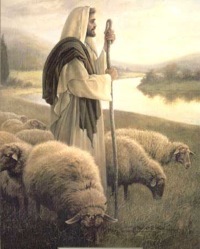 But there is the reality that all leaders are called to be shepherds and carers of the flock in some sense. Shepherds want to be with the sheep, or they should want such. Leaders desire to be with the people they lead, for leaders ultimately lead people not programmes. Therefore, if someone does not know how to care for others, they really don’t know how to function in any ministry, much less that of an apostle and prophet. For an interesting study, read 2 Corinthians. Paul regularly shows how his apostolic and shepherding heart were coupled together. That’s why it is one of my favourite letters. Finally, I would remind us that leaders have followers. As I’ve probably said before, no leader is self-appointed and self-proclaimed. True leaders will be recognised by other godly leaders. And, at the same time, they will have people who follow them. Such leadership cannot be forced but comes as we serve and shepherd those within our context. Matter of fact, before anyone is ever officially appointed into any leadership ministry and role, they should already be functioning in such. The reason why we recognise someone as an evangelist or teacher is that we see the fruit of such ministries in their lives. The same is true of apostles and prophets. These people should already be walking it out before any official recognition and laying on of hands, that being the biblical practice of recognising such ministries (see Acts 13:1-3). But, in all, we must remember that the people are drawn to those that are truly called to lead. A leader is no leader if he or she has no followers. So, as I end, I want to make very clear that apostles and prophets are not some kind of super-human group to which we should pay some special homage. Nor should they be viewed as people who are not called into accountable relationships. Such is absolutely uncalled for. These ministries, these gifted people, should understand these five characteristics, since all five were emulated in the life of Christ, himself. These leading ministries are to be servants, understand teamwork, be called of God, deeply care for people and they will have followers. This entry was posted in apostles, Ephesians 4 ministries, leadership and tagged apostles, Ephesians 4 ministries, leadership. Bookmark the permalink. If a minister/pastor of any church is of the personal opinion that the apostolic age ceased at the end of the early church. Then he is also, by default, saying that his own job and ministry was not something that God sent him out to do! If he was not sent by God, then what is he doing at the head of a church? Anyone who believes he is actually working for God should surely have a sense of being sent by God, for that is all an apostle is, someone sent to do a job for the Lord. Leading a church, having not been sent by God, is surely the blind leading the blind? c) for the edifying of the body of Christ. Therefore if a pastor, after a year, or two, or five, or seven, etc. has largely the same congregation before him, and is HE is still ministering to THEM, the same diet as last year, and the year before, simple logic says HE HAS FAILED. He is not pastoring the way God expects. HE is not being a pastor at all. He is running a creche or something like it. If he was actually PASTORING, then there would be some PERFECTING of the SAINTS enabling them to also do some WORKS OF THE MINISTRY to EDIFY others of THE BODY OF CHRIST. Instead they are pew filling and suckling at the breast of the pastor. Yes absolutely, there is a necessity for the congregation to be motivated and to understand the expectation of what BEING a Christian really is, but if the pastor continues to do everything, they will simply remain babies.